Happy 90th birthday (10/14/16), to one of the world's most beloved icons of literature, Winnie-the-Pooh! The how of Pooh? The Tao of who? 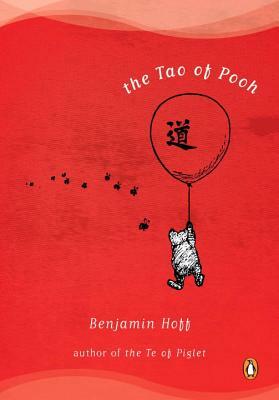 The Tao of Pooh!?! In which it is revealed that one of the world's great Taoist masters isn't Chinese--or a venerable philosopher--but is in fact none other than that effortlessly calm, still, reflective bear. A. A. Milne's Winnie-the-Pooh! While Eeyore frets, and Piglet hesitates, and Rabbit calculates, and Owl pontificates, Pooh just is. Benjamin Hoff grew up in a rural area a few miles from Portland, Oregon. As a child, he preferred to spend his time outdoors, observing animals, insects, and plants. And from an early age he loved to write. He is also the author of the New York Times bestselling The Te of Piglet and The Diary of Opal Whiteley.